Enhance your home and garden, provide habitat and food support for our native pollinators, and benefit the Richards PTO all at the same time! Place your order online today! Plant Sale orders are due Wednesday, April 17th. Plants will be available for pickup on Saturday, May 4th at the Richards Main Entrance from 9-11am. Questions about the plant sale? Ask Susan! I want to buy plants! What about Grades K4-1?! Don’t worry, they’re participating too! The presenters for the lower grades were pre-selected based on subject matter and grade level appropriateness. For a list of the Grade K4-1 presentations, click here. What is High Interest Day? High Interest Day brings together parents, friends, family and community members to our school to talk to our students about things they are interested in or passionate about. This might mean they talk about their career, or a special hobby. It gives the children the opportunity to learn about things outside the topics regularly covered in their classrooms. What do you need to do? Please take some time to look over the 2nd-5th grade session offerings - available here. Have your child(ren), in Grades 2-5, indicate their top 5 session choices. When and how do we register? Registration will be online starting Monday, April 8th. To register please click here. Every child must be registered using this method. We need EVERY student in Grade 2-5 to register online no later than Sunday, April 14th. Any student not registered by then will be assigned to the remaining presentation spots. Questions? Contact Jill Fink or Sarah Nowak. We Love our Richards Staff Members! Each year there is one week we celebrate our Richards teachers, staff, and crossing guards and show them how much we appreciate all they do for our children. This year, Staff Appreciation Week will be May 6th-10th and the Richards PTO has exciting plans! Each day, the PTO plans a special activity, including breakfast, a catered lunch, gifts and sweet treats. Everyone gets excited for the daily raffle as well, and this is where we can use your help! We are looking for donations from our Richards Community to help make the raffle a success. Please consider making a monetary or gift donation. To download a copy of the Staff Appreciation Week flyer, click here. Questions? Email Mary Kathryn Malaney and Abby Williams. To donate online, click the button below. Thank you for your support! show your support for staff appreciation week! Please join us for Donuts for Dudes on Friday, May 31st at 7:15am in the Richards Great Hall! All students are invited to bring a special dude to join them for donuts before school. Dudettes are welcome to attend as well. Donuts, coffee and beverages will be provided. Nut free and gluten free donuts will also be available. 5th Grade Theater is part of the end of the year fun for the 5th grade class. Parent volunteers meet with students once a week during lunch to rehearse a short play to be performed in front of family and friends on the evening of Thursday, May 30th. No theater experience necessary! We’re looking for 3-4 parents who are available during the weekday to come to school once a week around noon, for an hour to help the kids rehearse. The day is up to you. Email richardsptowfb@gmail.com to sign up. If you love Costco, or more specifically love going to Costco, the Fun Lunch team needs your help! Did you know that before every Fun Lunch, our Fun Lunch Committee Chairs drive to Costco, and buy all the bottled water, baby carrots, and Rice Krispie treats that are part of the Fun Lunch Menu? There are 17 Fun Lunch Fridays this school year, that’s a lot of trips to Costco! Help them out, sign up to make a trip to Costco for Fun Lunch supplies. Email richardsptowfb@gmail.com to volunteer. The PTO Cultural Arts Committee and Richards School is excited to host author, speaker and yoga guru Ann Biese! Ann will be presenting to both parents and students with two separate presentations focused on mindful breathing and calming techniques. Ann Biese is an international Yoga Instructor and is the author of the award-winning children's book Worry Bee and Mindful Moon. She is also a Meditation and Mindfulness Specialist in pediatric settings, including Tufts Floating Hospital for Children in Boston, and has taught MBSR and yoga to various youth groups and teen athletes across the country. Ann has been a featured speaker on meditation and mindfulness in hospitals and further facilitates trainings for ChildLight Yoga & Mindfulness for Tweens and Teens. You can visit Ann's website at annbiese.com. The parent presentation, “Say YES to the Breath for Parents and their Families!” will take place on Thursday, April 4th at 6:15pm with an hour presentation followed by a book signing. Finding your breath is key to better living. Through the use of visual aids and practical demonstrations, Ann will help parents understand and apply the benefits of breathing and calming techniques to "discover life in the calm zone.” Ann uses impromptu, engaging and fun activities and gets her audience involved. The student presentations will take place on Friday, April 5th during the school day in the morning. K4-2 and their teachers will learn about proper breathing. Ann will demonstrate proper breathing techniques and will read from one of her books. She will use visual props, show-and-tell her way through Worry Bee and enlist students or teachers in an impromptu demonstration. At the end of her program, Ann will give students a chance to ask questions. Grade 3-5 will learn how finding their breath is the key to learning to live better. Ann gives students a glimpse into the process that creates this lifelong skill and will use demonstrations—by modeling how the lung and brain response to breathing and practice. If you would like to pre-order a copy of Ann’s book Worry Bee or Mindful Moon, download the order form here. Ann’s books are geared more towards the younger grades (K4-2) but anyone is welcome to order! Ann is donating 20% of book sales back to the Richards PTO! Questions? Contact Aine McMenamin-Johnson or Sarah Nowak. Lego Club...3rd Grade...You're Up Next! The registration deadline for 3rd Grade Lego Club is March 27, 2019. Lego Club is an extracurricular activity run by the Richards PTO. The club is open to students in grades K5 through 5th grade. Lego Club meets on Wednesday afternoons from 3:05 to 4:00 in Room 5. Students will be dismissed from their classrooms to Lego Club. Unless prior arrangements are made, parents are expected to pick their child up from Lego Club at 4:00. Room 5 is located on the bottom floor of Richards on the Great Hall side of the building. Please enter the school though the office, and use the stairwell across the hall and to the left of the office. When you get to the bottom of the stairs, turn right. Room 5 is on the left-hand side of the hall after the bank of lockers. Parent volunteers are also needed! Click on the link here if you are interested in signing up to volunteer for your child's grade level Lego Club session! Questions? Ask Lego Club Co-Chair Allison Roth. Thank you to the families who are taking time to clip and collect Box Tops for Education! Please continue to turn in your box tops for our upcoming submission, especially large collections, by February 27th. We'll continue our ongoing classroom collection through May, with the winning grade earning a popsicle party at the end of the school year! Don't forget to include your child's name on your sheet or ziplock so we can give credit to their class! Have you seen the poster outside of office by the collection bin? The grade currently leading with highest totals is K4, with 1st close behind. Congratulations! Be watching the poster and listening to announcements for updated leaders. Fun fact: Did you know that if 700 Richards students clipped just 5 box tops per month, over a ten-month period, they would earn $3,500 for Richards School?! And $7,000 with just 10 box tops! We currently average around $1,500/year. Have you been clipping? Let's have some fun and make a mark this year! Thanks for your efforts in supporting Richards School! Questions? Contact Kristen or Lindy. If you missed registration, or were at registration but didn't stop by the PTO table, don't worry! 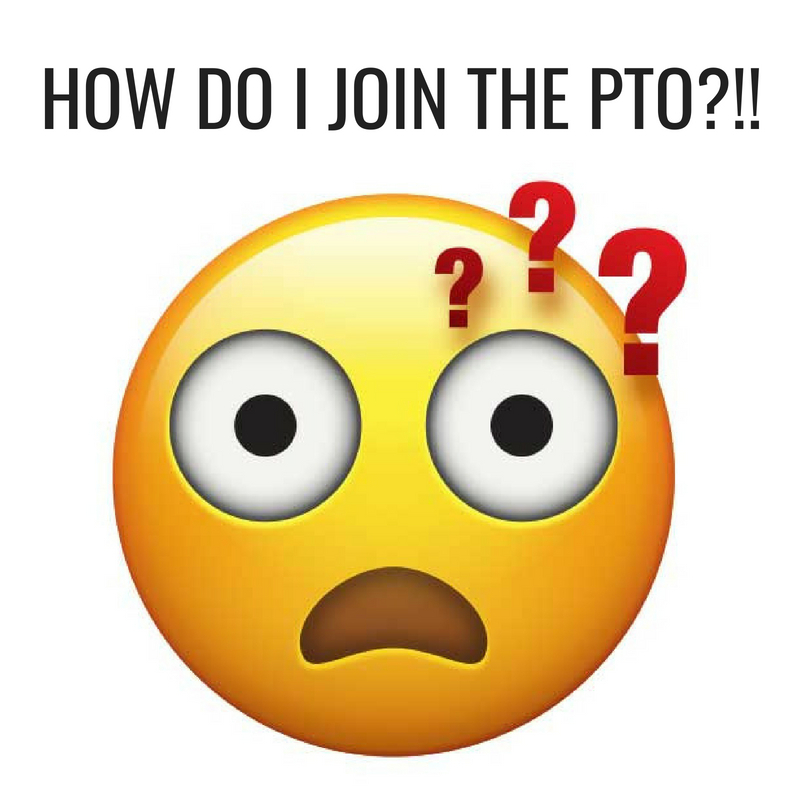 Joining the PTO is easy. Click here to get started. Get your shopping done and support your favorite elementary school, all at once. When you make a purchase on Amazon, make sure you're shopping for Richards. For complete instructions, and more information on the Smile program, click here. This website is a constant work in progress, and is informed primarily by information provided PTO committees, Richards Administration, and Staff. If you think we missed something, found a typo, or an error, first-sorry about that, and second, let the PTO Communications Team know. We welcome (and seriously appreciate) any and all feedback. Speaking of errors or omissions in content, they are entirely the responsibility of the PTO. We're human, we're volunteers, we do our best.